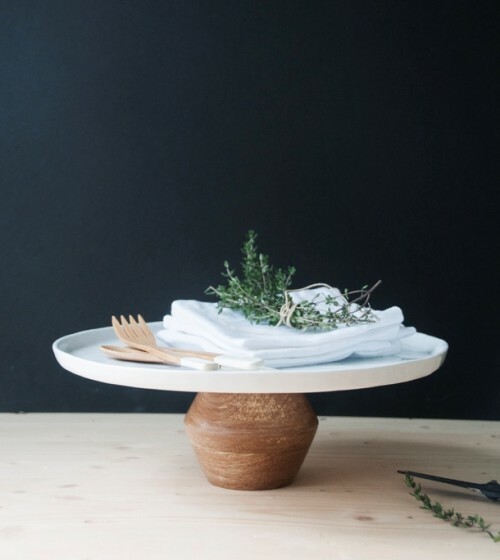 Need a cool and modern cake stand without much fuss or money wastes? 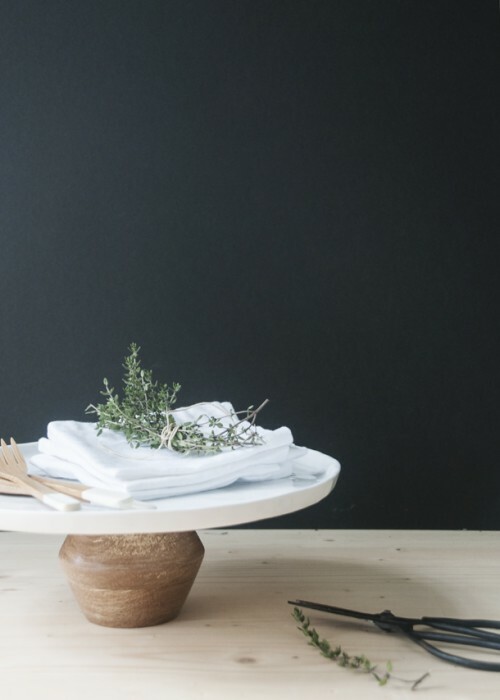 Here’s a tutorial from earnesthomeco.com! 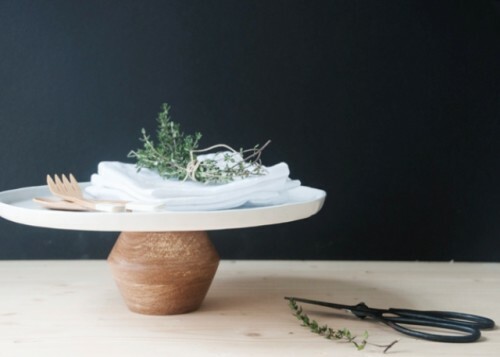 The supplies are a plate, a candle holder, a dab of glue. 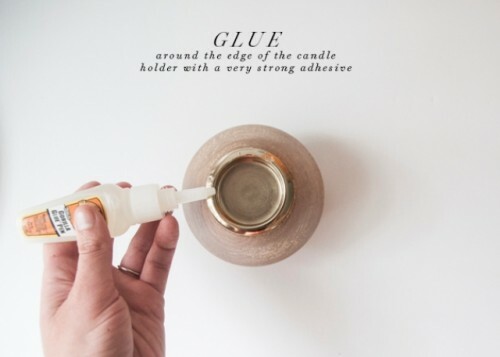 All you need to do is just glue around the edge of the candleholder with a very strong adhesive. 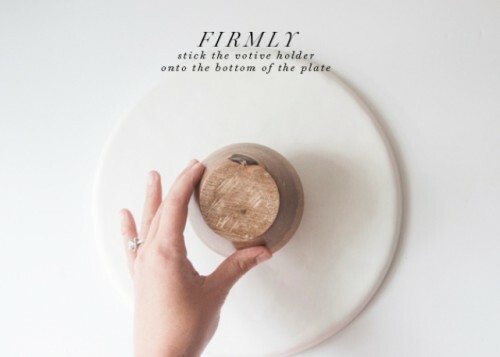 Firmly stick the votive holder onto the bottom of the plate and leave to dry. 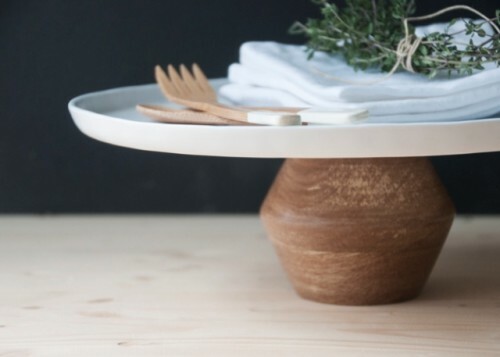 Voila, your cake stand is ready! 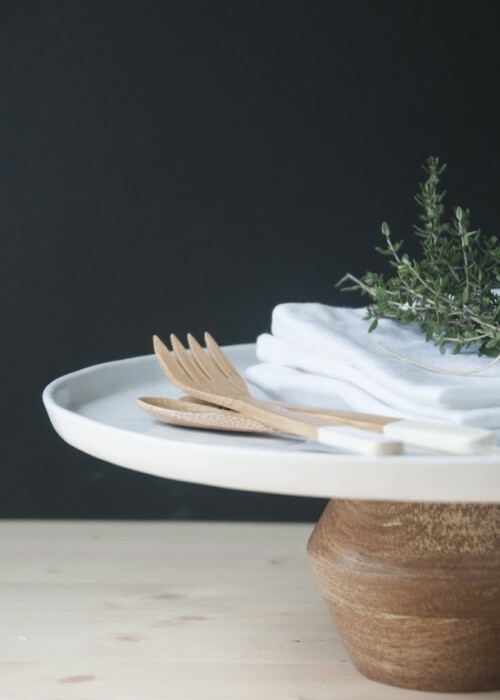 This is a cool and easy idea that works with any kind of candleholder and plate, you can make such a stand in various styles and then turn them back into a candleholder and a plate if needed.